WICHITA FALLS, TX (RNN Texoma) - Kalco Machine and Manufacturing in Wichita falls has about 60 employees. David Kulbeth, President and CEO, said they want to expand the industrial company, adding 40 more. “We’re going to need to hire some more employees because our future contract that we are going to start on in about a year from now,” said Kulbeth. With an unemployment rate sitting at 3.1 percent hiring is tough right now. “It’s always good for low employment up to a point, but then we get a tight labor market, and that’s a struggle for anyone who is looking for good employees,” said Kulbeth. The low number of applicants and low number of applicants with the right credentials makes it hard to find good employees. As Kulbeth looks to expand he fears filling those roles will not get easier. “There’s a limited amount of skilled labor here and you’re robbing them from somewhere else which is not good either," Kulbeth said. 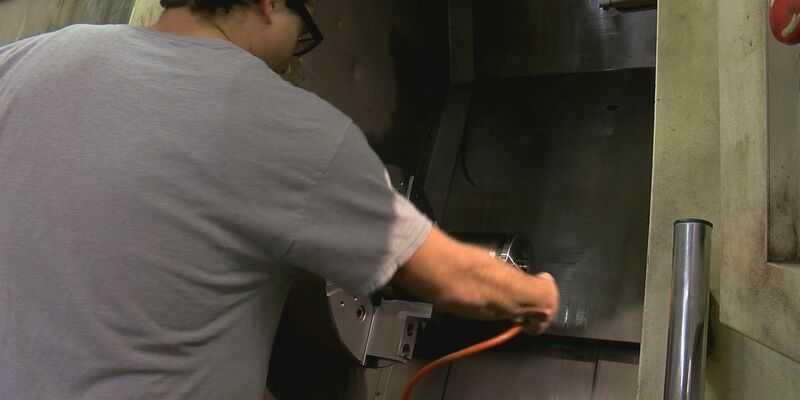 Henry Florsheim, Wichita Falls Chamber of Commerce President and CEO, said it is not just skilled workers, dozens of businesses are struggling to fill positions. “When you’re thinking about it from the job seekers it’s good,” said Florsheim. “If you’re thinking it from the company’s perspective, a company can’t grow if they can’t find people." The city’s strategic plan focuses on ways to help. “We know that students from out of town, if they don’t get connected to the business community while they are here, the second they graduate they are leaving,” said Florsheim. He said they are going to develop a very structured internship program that encourages long term internships. Veterans are another piece of the puzzle. “The biggest thing is to identify where the veterans are, what companies need those skill sets and try to make some matches. same goes for trailing spouses on base and people who retire early,” said Florsheim. He adds this issue is not unique to Wichita Falls, cities all across the country have been seeing a shortage of labor for the past five years. He believes those who find out how to solve the problem are going to win big when it comes to economic development.